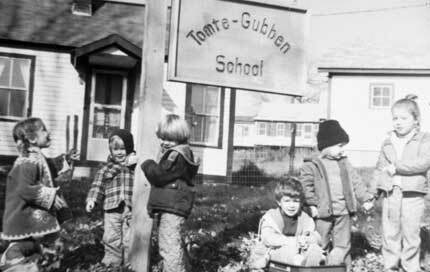 Monadnock Waldorf School began in 1976 as the Tomte-Gubben School, a Waldorf-inspired nursery school, founded by teachers Janet Gordon, Linda Lacoucer and Signe Motter in Nelson, NH. Growing steadily into the grades with a wealth of warm community support, the school eventually become an "official" Waldorf school, assuming the Monadnock Waldorf School name and relocating to the South Lincoln Street grade school building in Keene. MWS graduated its first 8th grade class in 1987. By 1992, the Nursery-Kindergarten grew to require its own space and through strong support from the school and local community, MWS was able to purchase the 12-acre Early Childhood campus on the outskirts of Keene. With a school population continuing to flourish, both campuses underwent expansion. In 2001, the Grade School added a 5,000-square-foot addition, complete with assembly room, library, handicapped facilities and office space. In 2004, the stone house at the Nursery-Kindergarten was expanded to add two new classrooms. In the fall of 2010, MWS' legacy of both vision and determination culminated in the realization of a long-held dream: to offer a complete Waldorf program from Nursery through High School. Again, families, teachers, staff and community gave tirelessly of their time, effort and personal resources to launch the program. Twenty-seven pioneering students and four intrepid High School teachers, hailing from New York City to Australia, inaugurated the High School with ninth and tenth grades. For 8 years, MWHS served 110 students, 45 international students under the guidance of outstanding faculty. As the high school closes operations in June, MWS embarks on an exciting partnership with High Mowing school in Wilton, NH to offer MWS students a college preparatory experience in the Waldorf tradition. Stay tuned for details!